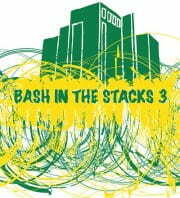 The 3rd annual Bash in the Stacks will be held September 13 from 7-11pm in the Cofrin Library! Stop by for an evening of fun, food, and games. Worried you’ll miss the Packers/Bears game? Don’t be! You can enjoy the game at the Library while participating in the festivities. We’ll have Nerf Tag in the Library stacks as well as tricycle races and sumo suits! Feeling a little artsy? We’ll have crafts too! For more information check out our Facebook event: http://www.facebook.com/#!/events/472056352812363/. This event is sponsored by the Cofrin Library, FOCUS, and Student Life. Refreshments compliments of the Chancellor’s Office.